Just in time for Earth Day, Kelley Blue Book’s KBB.com has named the 10 Best Green Cars of 2013. With fuel economy taking the top consideration spot for many car buyers, eco-friendly cars face fierce competition. However strong the competition may be, Ford still fared better than most, with two Ford models earning a spot on this list. The first Ford on the list is the all-new 2013 Ford C-Max Energi. The C-Max Energi is the most affordable plug-in hybrid on the road and offers an all-electric range of 21 miles. The hatchback returnes an EPA-estimate fuel economy of 108 MPGe City and 92 MPGe highway and was praised by KBB.com for being one of the few EVs that can be fun to drive. 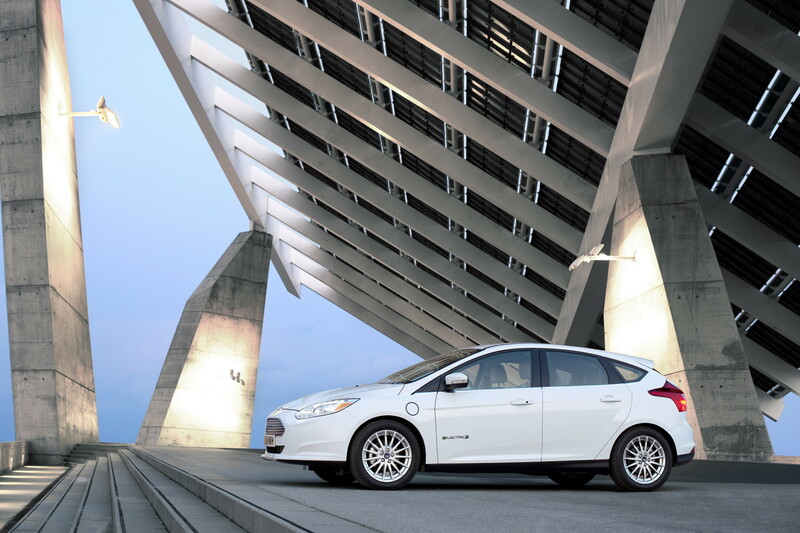 The 2013 Ford Focus Electric also earned a spot on Kelley Blue Book’s list, thanks to an EPA-estimated fuel economy of 110 MPGe city/99 MPGe highway/105 MPGe combined and its 76 mile range. The Focus Electric has a leg up on the competition, thanks to its combination of award-winning Ford Focus style with an electric motor. If you’re looking for a good way to go green, check out either model at Sanderson Ford! These days, fuel efficiency seems to be just as important as safety in the features we looks for in a new car. Fortunately for new car buyers, balancing the two has just become a whole lot easier. The 2013 Ford Focus Electric has earned a 5-star safety rating from the National Highway Traffic Safety Administration (NHTSA) in their New Car Assessment Program. In order to receive the top rating from the NHTSA, the Focus Electric had to earn a 5-star crash test rating in each of the safety tests performed, including front and side-impact crash tests and rollover resistance. The EV passed each of the tests thanks to advanced safety features, such as dual-stage front airbags, front-seat side-impact airbags, and safety canopy side-curtain airbags in the first and second rows. Sanderson Ford is proud to be one of the select dealers to have 2013 Ford Focus Electric inventory, so stop by today to check out this safe and efficient model! 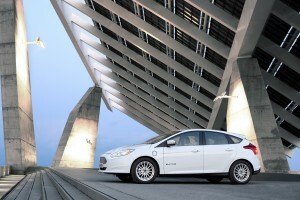 Following in the footsteps of the 2013 Ford Escape, the all-new Ford Focus Electric will be receiving its own reality show. The series, “Plugged In,” will be a competition reality show shown on Yahoo! Screen. The show will take place in 10 cities around the U.S.: Los Angeles, New York, Chicago, Washington D.C., San Francisco, Seattle, Austin, Atlanta, Raleigh, and Boston. Contestants will drive a Focus Electric around their home towns to complete different tasks and challenges. Clues will be sent via video, text, and audio through the EV’s Sync with MyFord Touch system, and teams will also use the car’s navigation to help guide them. The winning teams will be awarded a Focus Electric. Casting is currently underway and the schedule will be announced in a few weeks. Since the show will be broadcast online, viewers are encouraged to comment and upload their own hometown photos after each episode.